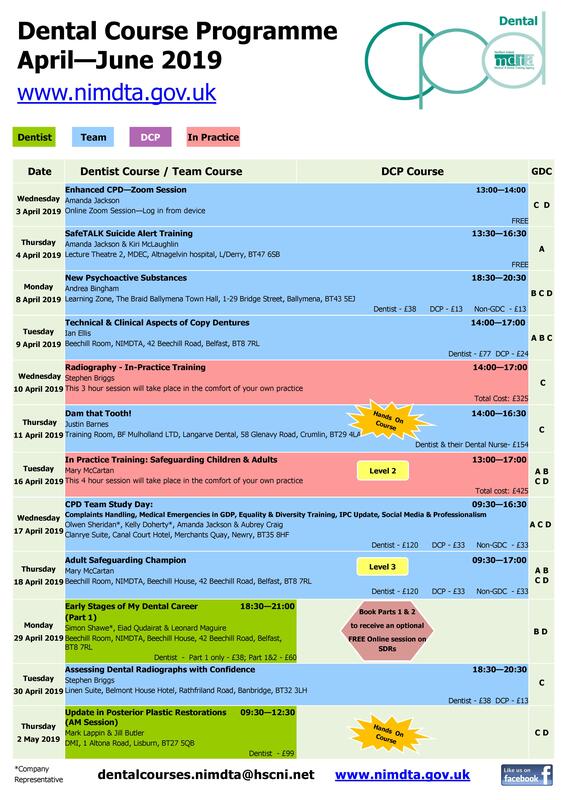 Please find below the link to the new NIMDTA dental courses calendar which will run from April 2019 until June 2019. 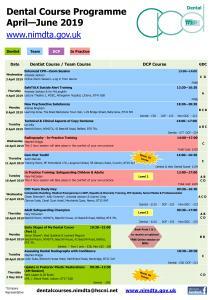 Courses are booked online and paid via debit / credit card through NIMDTA Course Manager. Newcomers to the online course booking system are advised to read the step-by-step, comprehensive NIMDTA Course Manager User Guide. Please read the aims and objectives of the courses you are about to book to ensure that the course content will meet your educational requirements. 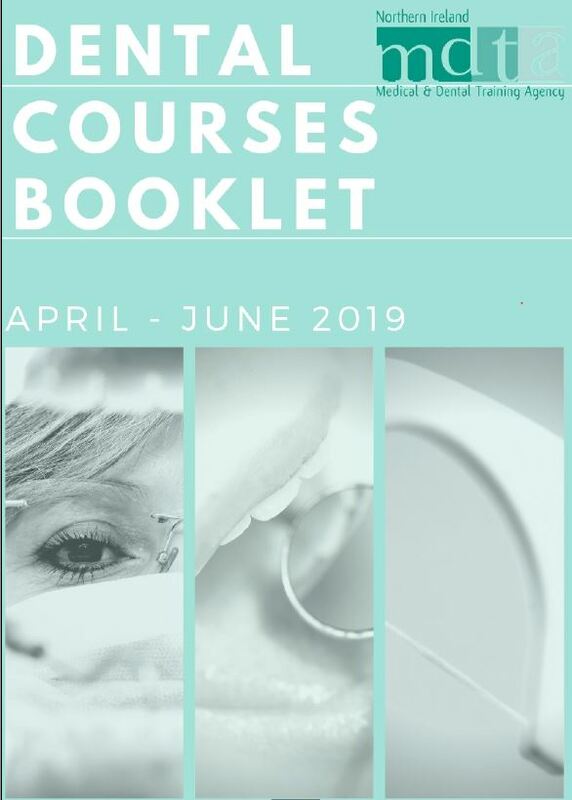 If you have any questions or queries about the online course booking system, or indeed any of the CPD courses advertised, please do not hesitate to contact us on dentalcourses.nimdta@hscni.net or call 02895 360074 for assistance.